During the race, this page is where you will find all the updates from the race. Live-streams , pictures, videos, and texts will continuously be posted right here. At the 19 checkpoints, there will be timekeeping which will be updated live here. Don’t forget to like Red Bull Nordenskiöldsloppet on Facebook to get the news delivered right to your feed. BAAAM, it’s a wrap. The last champions have now crossed the finish line within the time-cap, thus 335 people managed to complete the 4th edition of Nordenskiöldsloppet. Completion and participation is more important than placement. A big congratulations to everyone and thank you so much for this year! The time is now 11:08 and the last participants are in sight and will hopefully make it all the way to the finish line after covering 220 km. Currently at 08:20 in the morning more than 300 people have finished the race. There’re still 18 people out there aiming to make it and it’s looking good as long as they manage to keep up their current pace. Keep it up! 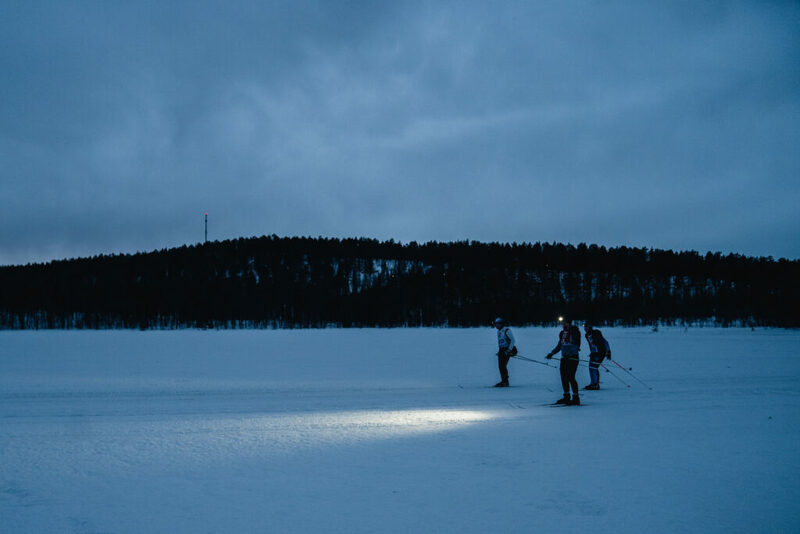 As it starts to get lighter and lighter, we also cross the border for skiing for longer than a day. The last ones to make it before we hit the 24:00:00 mark was the following. Check out Nils Ström and Tomas Olsson as they dish out their last savings to make it in time! He might not have gotten a medal, but, he’s happy anyway. He began the race with his friend and finished its hand in, like real sportsmen. Although we wouldn’t mind seeing a bloody sprint between the two. Big Congratulations to Tommy Skagert and David Thylén finishing with 21:46:56! And so we pass the deadline for claiming the Nordenskiöldsloppet’s historical medal. 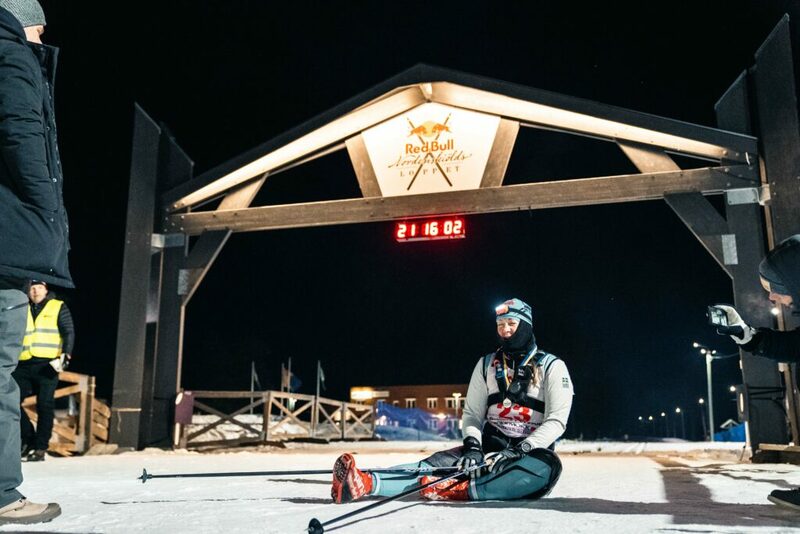 The last skier to make it was Susanne Person after an extraordinary effort with a 21:14:49. “Now it’s time to shower and pop some champagne in the caravan” Susanne Person stated after being asked what’s next. There’s a real big shift in the people currently finishing the race. We see some people stumbling over the finish line, while some still seem to have som energy to spare. 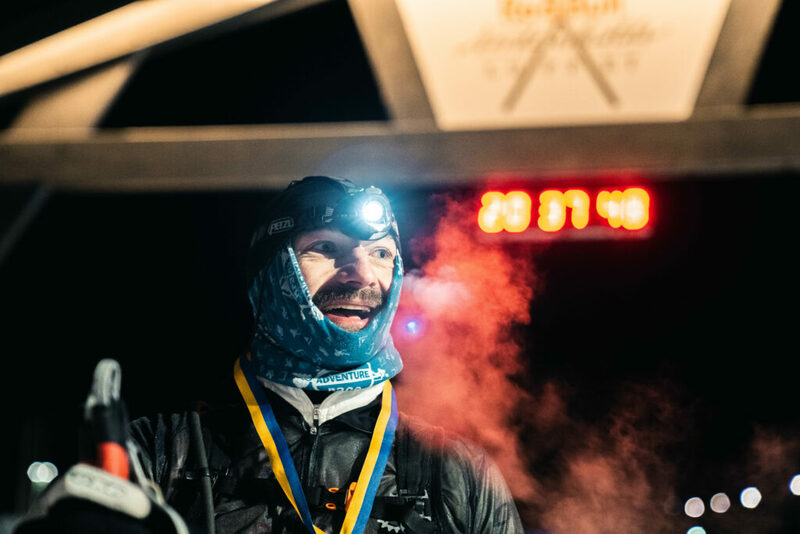 Joakim Mårberg actually looked strong and happy as he finished at a 20:59:40 time. Congratulations! And of course, we have a lot of foreigners from all around the world. Like this speedster – Piotr Doperala from Poland who flew by the finishing line with a 20:37:32. Good job! 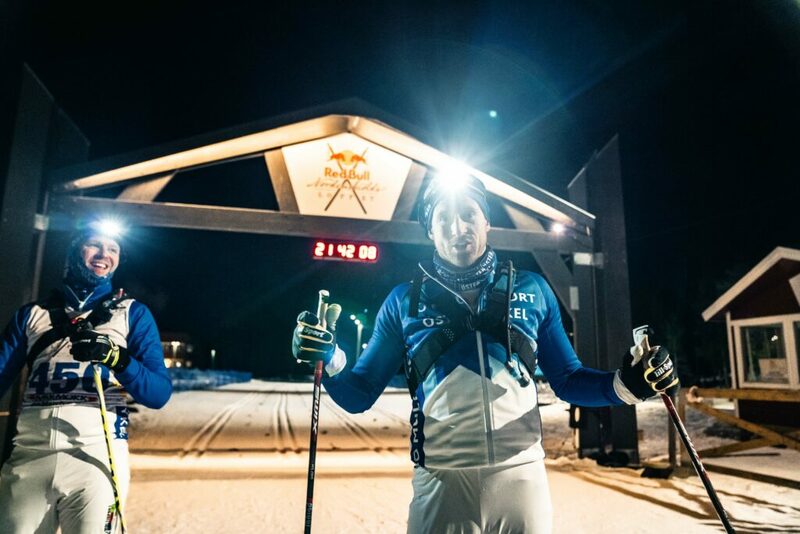 Not far behind came a very strong duo with Kristian Tydén and Daniel Fredriksson finishing hand in hand with a strong – 20:33:07. Congratulations! As we ask the people when they finish – would you do it again? Most people tend to quickly answer with a big fat “NO”. 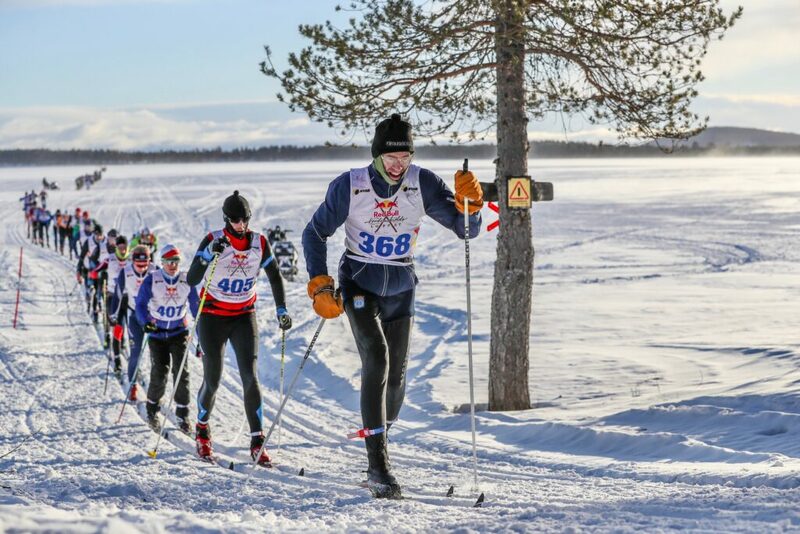 However, for some reason they keep returning to Jokkmokk, reliving this amazing experience. One, in particular, is Simon Douglas, UK, who just finished Nordenskiöldsloppet for the 4th time with an amazing time of 20:32:18. Good Job! But, that’s enough romance for this year. 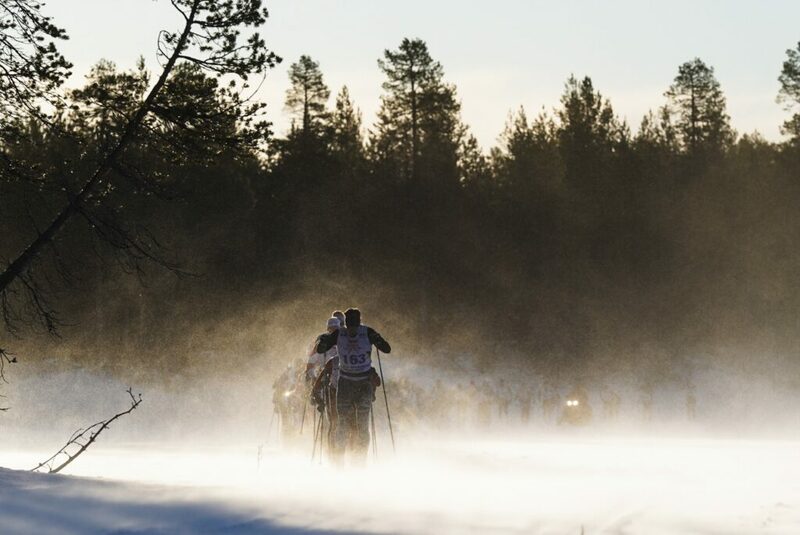 Let’s get back to the people still out there fighting for Nordenskiöldsloppet medal. 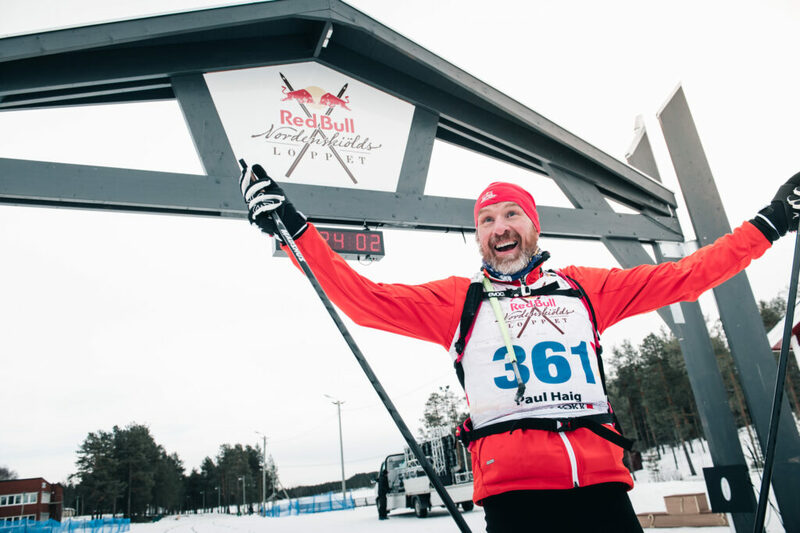 First off we have Magnus Hangasjärvi from “Tullus Skidskytte Motion” who finished at an impressive 20:23:04 – Congrats! 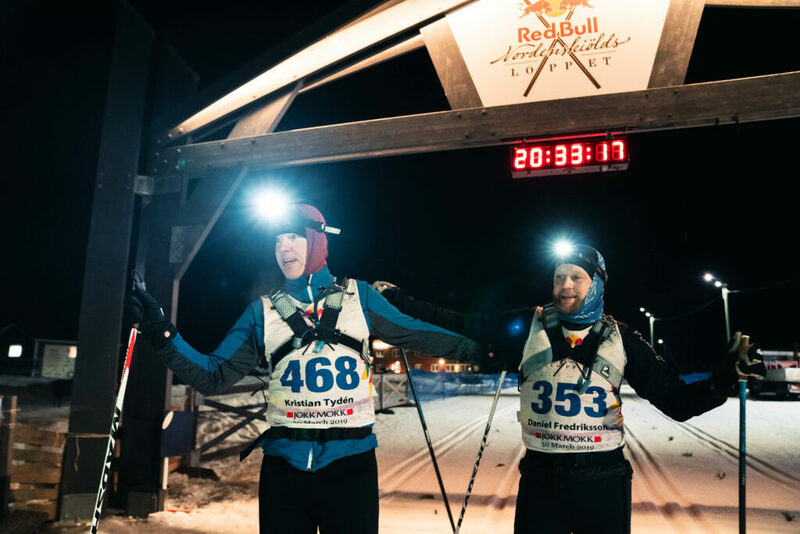 Another one, who seemed very happy to finish was Annika Holgersson who blazed through the gate at 20:11:02 – WOW! 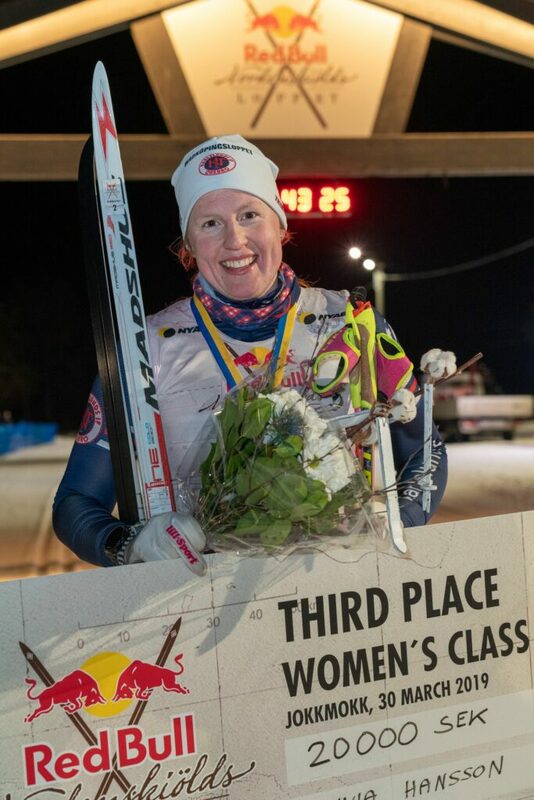 Therese Nordlund, was the first woman to cross the finish line after we had shifted from Saturday to Sunday. 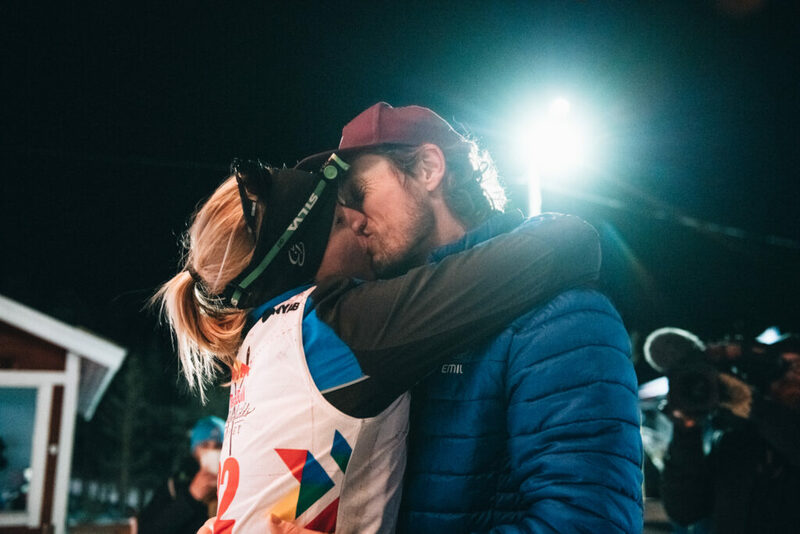 Her boyfriend had finished the race a couple of hours earlier and welcomed her with open arms, only to receive a very pleasant surprise. 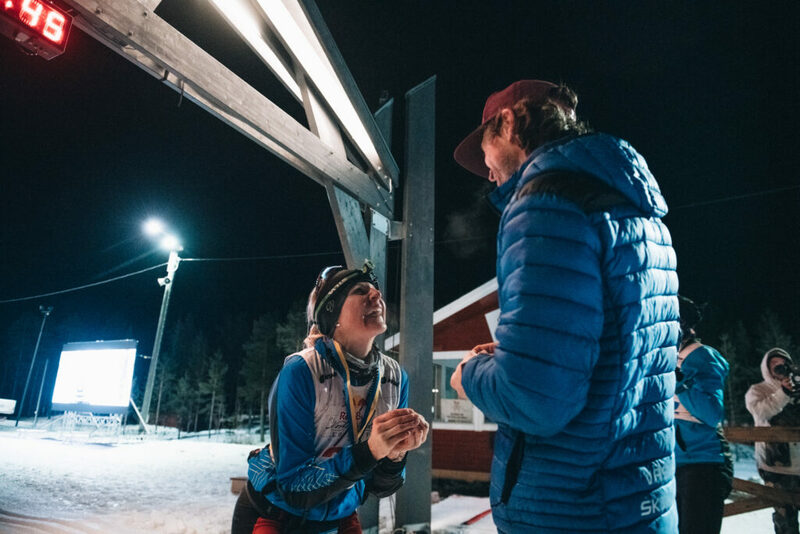 As soon as Therese had finished the race, she went down on her knees in front of all us cheering her on, and straight out purposed. Although Emil looked very perplexed he responded with a confident and joyful – YES! 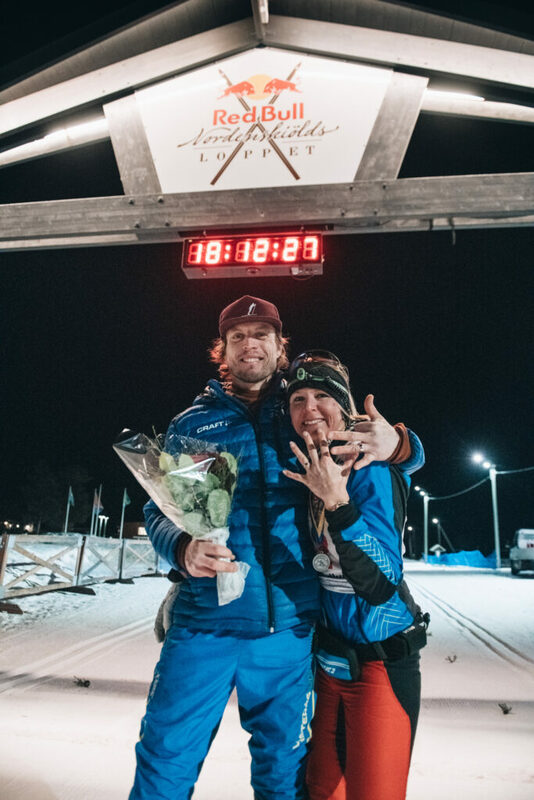 Quite an astonishing feat to do a 220 km race, with a ring in your pocket. It must be a good carrot on a stick for spurring you on, throughout the race. You do also have a lot of time to think about it up as you’re gradually getting closer to the conclusion. Big Congratulations and best wishes to both of you, for both your accomplishment and engagement and thank you for making this event even more unforgettable! We’ll see you guys again next year, hopefully with more pleasant surprises! 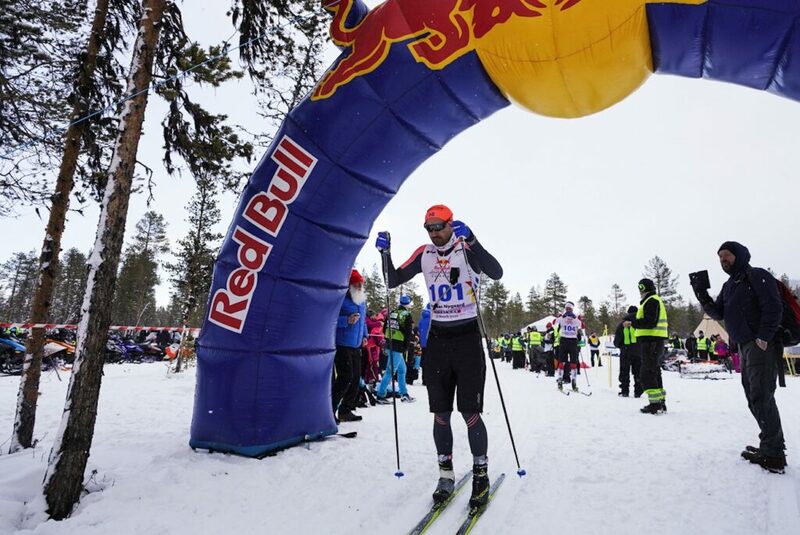 10 women have now crossed the finish line in Jokkmokk after a most impressive feat. 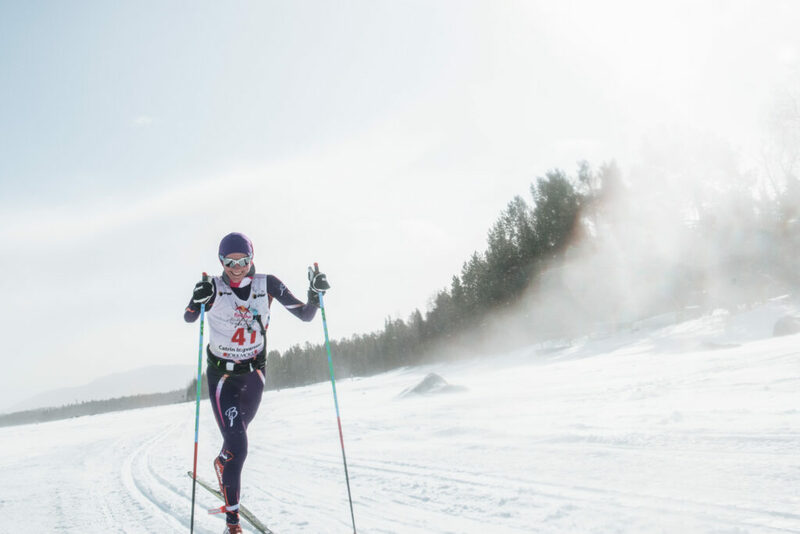 What do you do when one of your ski poles give in after 213km into the race? Easy, you reach into the forest and grab a stick. There are warriors, and then there are warriors. 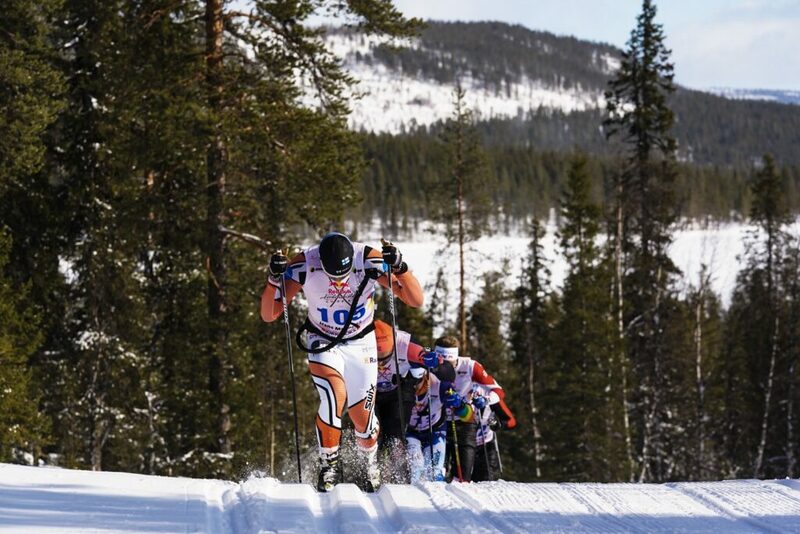 Many of you might wonder, how do the skiers execute and fulfill certain needs and actions throughout the race? Everyone has their own way of doing it of course, but, this is how it looked for the leading pack halfway through the race. Staffan Björklund, wow, what an astonishing accomplishment. 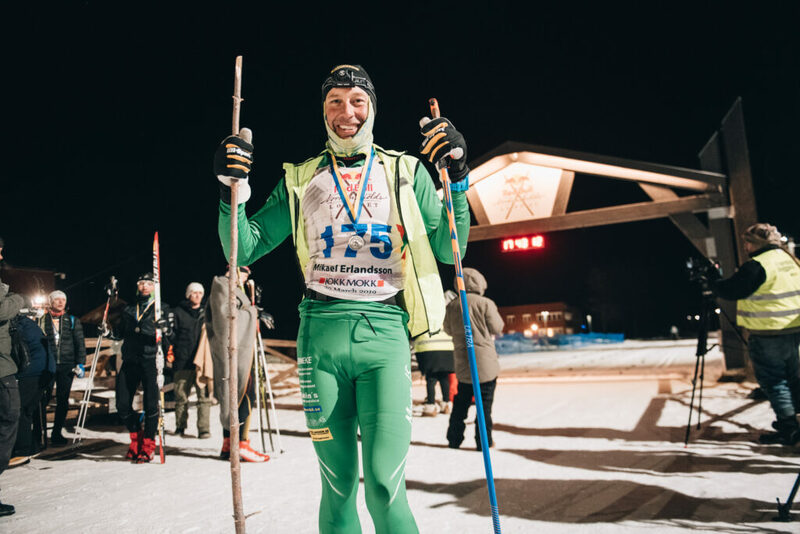 He began cross-country skiing this year, took on Vasaloppet as a warmup for Nordenskiöldsloppet and managed, together with his friend Per-Erik Jonasson, together they finished at the impressive time of – 15:48:55. We are very impressed Staffan, well done! And, guess who’s back. 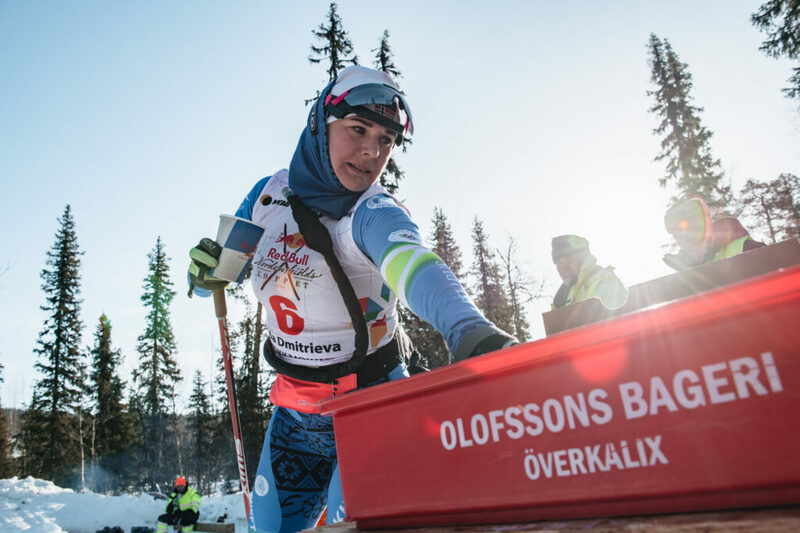 Stronger than ever before – Olivia Hansson who managed to plow through the race and end up with an amazing time of 15:40:55, thus claiming third place in the women class and receives the last check. Congratulations! Terhi Pollari is the 2nd woman to finish the race and places 57th in the overall with 14:59:18. It’s amazing how she managed to make 220 km look so easy, making us all watch her performance in awe. If you’re wondering if you should try out Nordenskiöldsloppet next year, you should definitely watch her and get inspired! Just a couple of minutes later we could see Björn Aiff in his stride of pride as he closed in on the gate, looking almost annoyingly comfortable considering he was, for a while, fighting amongst the top brass in the. Anyway, he managed to finish it with the staggering time of 13:54:10. Well done Björn! 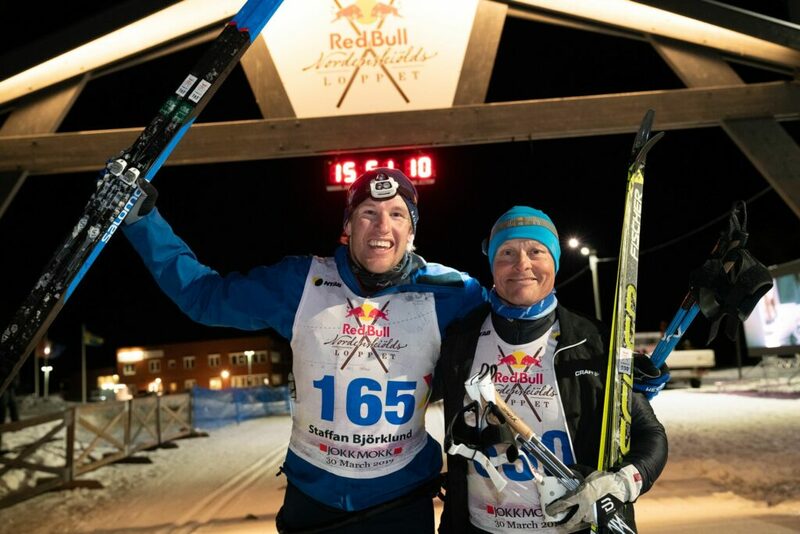 After the Norwegian hattrick on the podium, it was another two Norwegians to arrive in Jokkmokk when club mates Peter Eliassen and Daniel Strand from Tverrelvdalen IL took rank 4 and 5. Then it was time for the first Swede to come in. 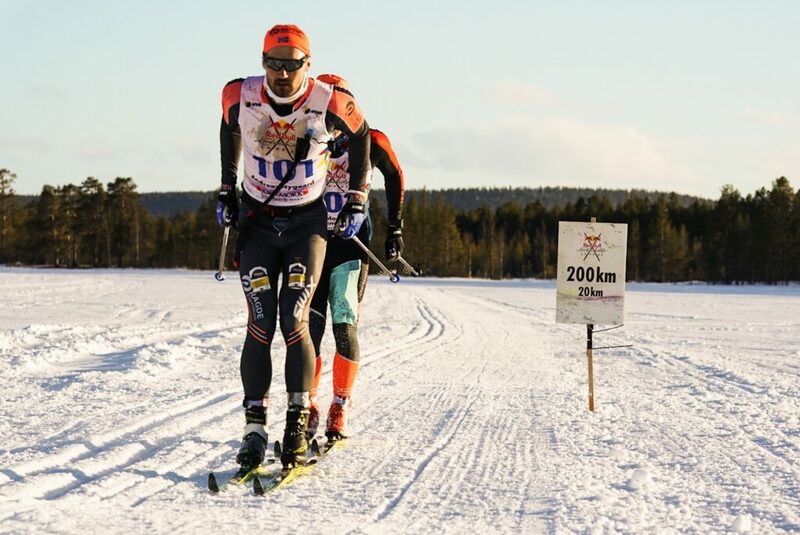 Johan Lövgren sprinted down Hans Mäenpää from Finland and claimed the 6th position. 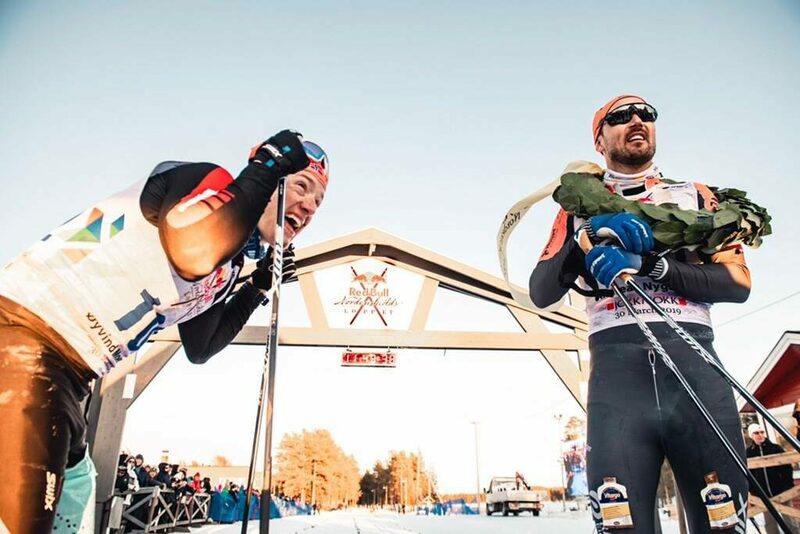 Andreas Nygaard has just taken his third straight victory in Jokkmokk after a sprint duel against his teammate Øyvind Moen Fjeld. 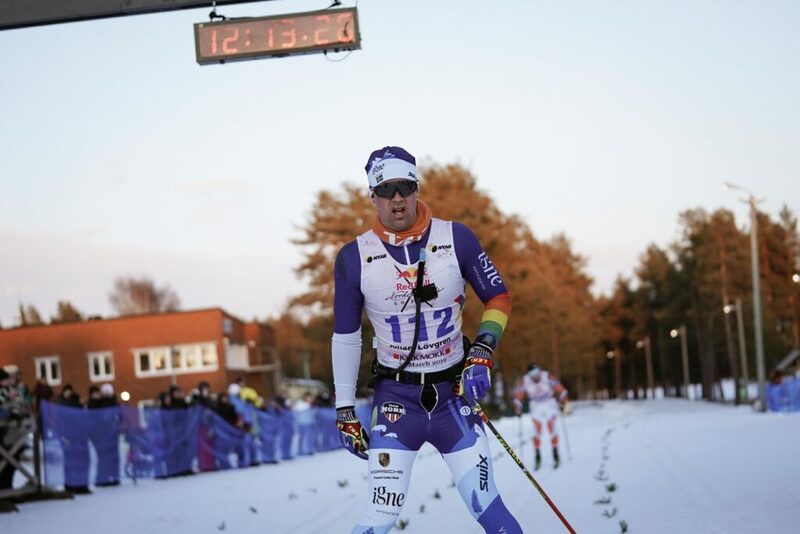 Vegard Vinje came third. Big Congratulations! 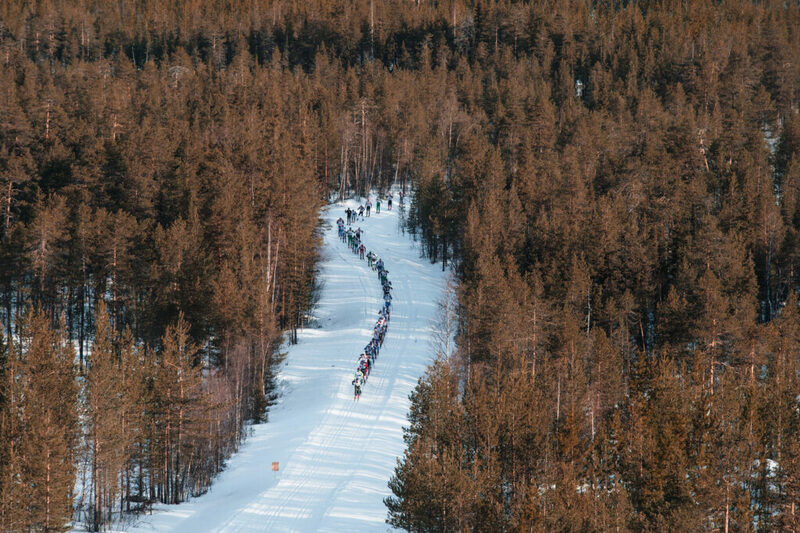 Swedish Nina Lintzén is currently in the single lead in the women’s race and recentl passed the 200 km mark. The night however, is long and we still have a lot of people still out there and we’ll keep you updated so stay tuned and enjoy Nordenskiöldsloppet until the end! 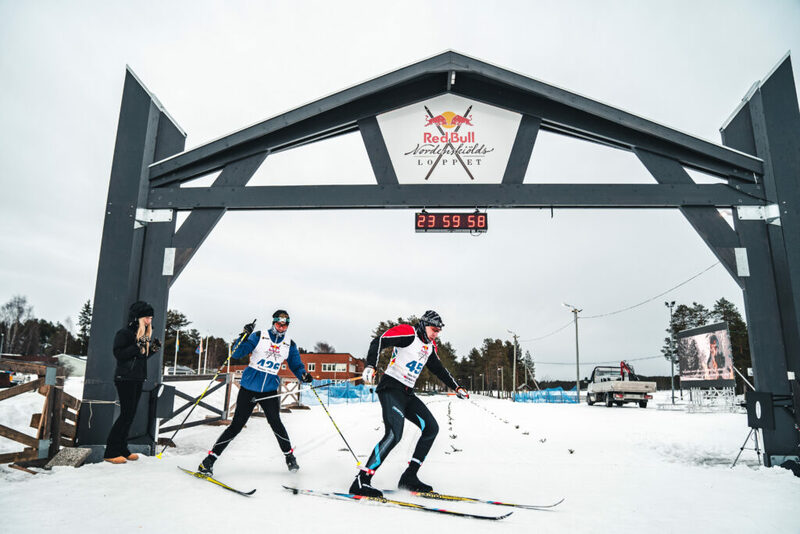 20 km left the sign is screaming in Purkijaur at Øyvind Moen Fjeld and Andreas Nygaard as they ski past it with a 10:52:09. They’ve now covered 200 km and from here on out their friendly stride is slowly transforming into a battlefield. Who will reign superior as they pass the finish line? 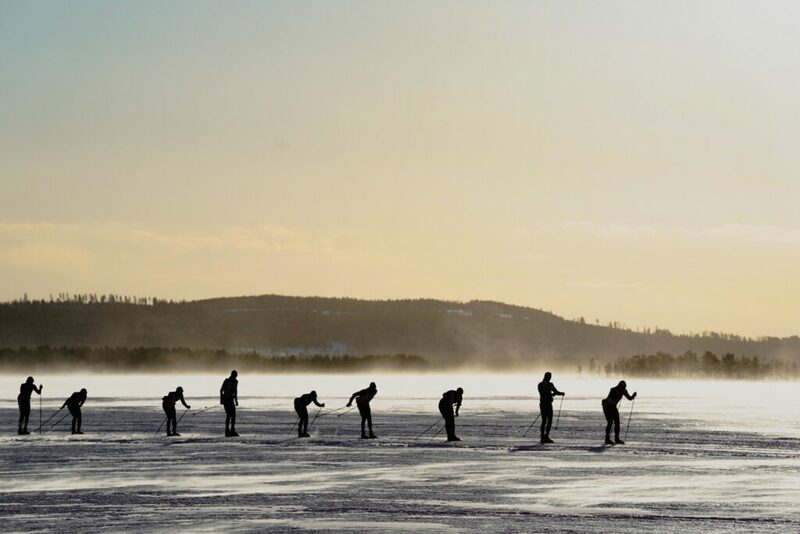 Now, we bet you’re currently wondering – what happened to our rookie Staffan Björklund? 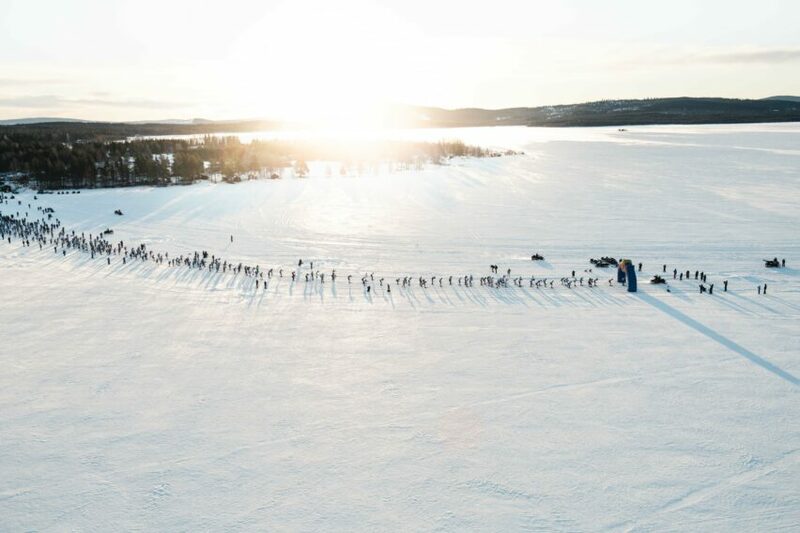 Staffan is currently placed #77, and was last seen swishing by Granudden (140 km) in full speed with a 10:18:45. If we are to believe the rumors he barely looked tired, thus, we’re expecting a lot from him for the coming kilometers. 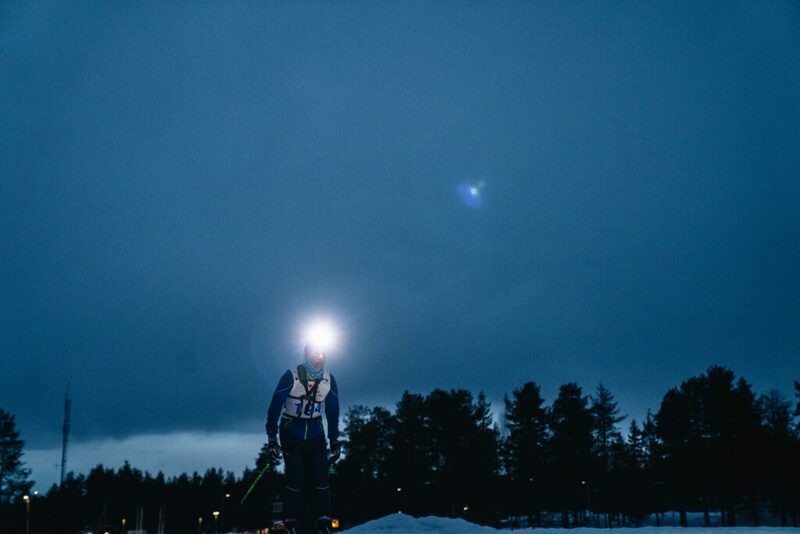 He’s pretty much skied so far that he can’t call him a novice any longer – GO STAFFAN! As the finish line is slowly but steadily drawing closer we haven’t seen much happening on the frontline. We still have the Norwegian duo, as strong as ever and are seemingly showing no signs of weakness. 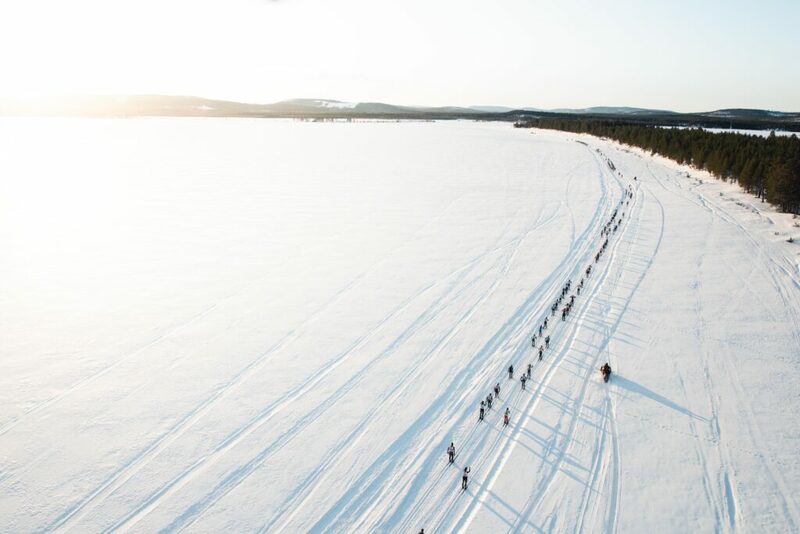 Their time is currently 10:12:32 as they fly by Pälnibäcken 186 km. For the 3rd place we have one promising aspirer – Vegard Vinje who was last seen passing by Ragalvisjiegge, 172 km, 9:43:53. 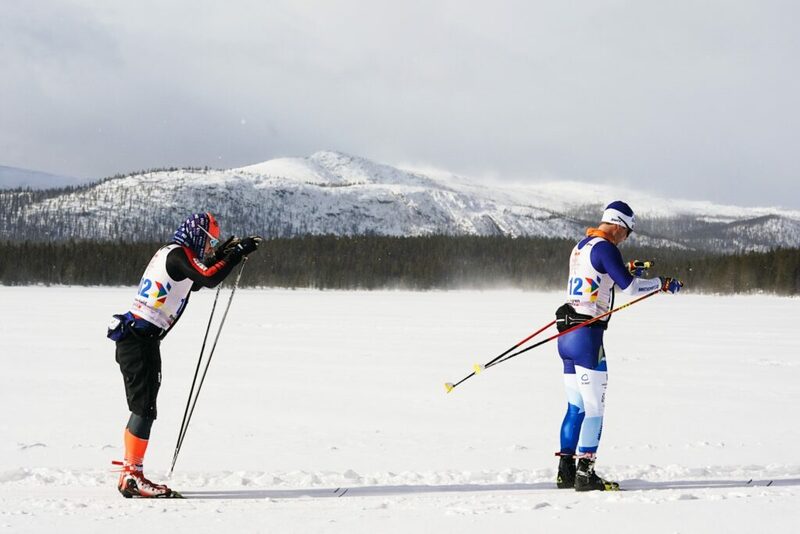 A couple of minutes behind him we have our last Swedish male hope – Johan Loevgren, currently skiing alongside the finish long-distance skier Hans Maenpaa. 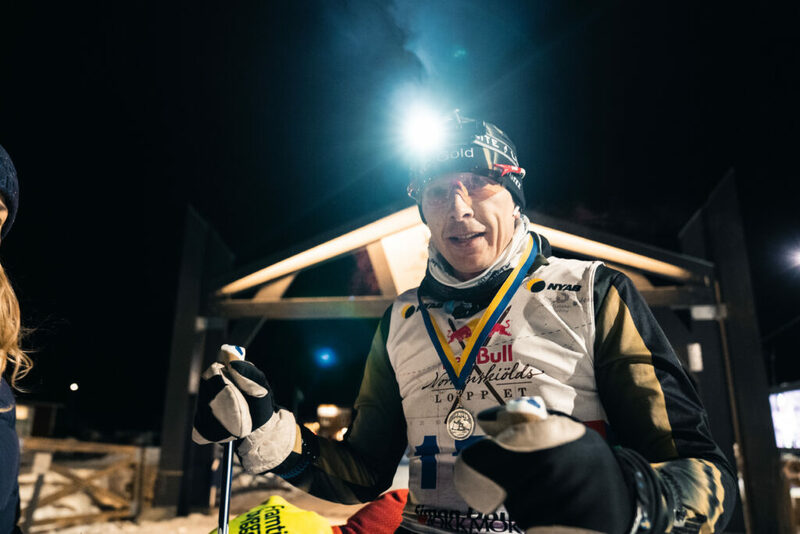 Will Johan have what it takes to make it to the podium? We shall see! 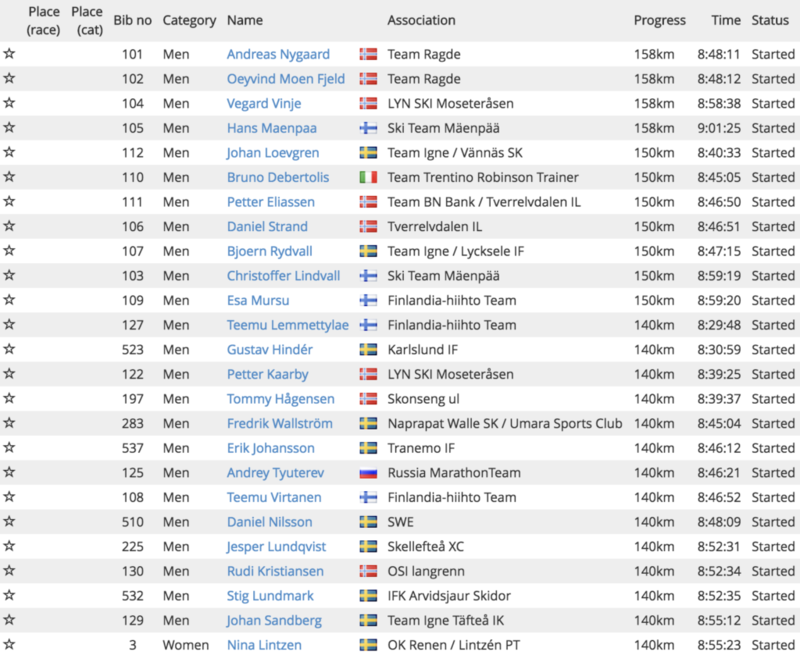 Øyvind Moen Fjeld and Andreas Nygaard just passed Ragalvisjiegge with the time: 9:33:40 (don’t even try to pronounce it), meaning they’re 172 km into the race and only 48 to go. Everything seems to point toward a battle of the giants towards the end, once again – stay tuned! The climb continues and Nina is now placed 24 in the overall ranking Where does all this new found energy come from? Behind her we have Terhi Pollari last seen passing Tjåmotis (121 km) with a 8:12:06. 47 minutes behind we have Olivia Hansson, all though they’re far apart they all look incredibly strong! Nina Lintzén is back in the top 25, she was down as far as 36th placement, but, seems to have begun her notorious climb up the ladder. Last time we saw her she passed Granudden (140 km) with a time of: 8:55:23! All quiet on at the front. 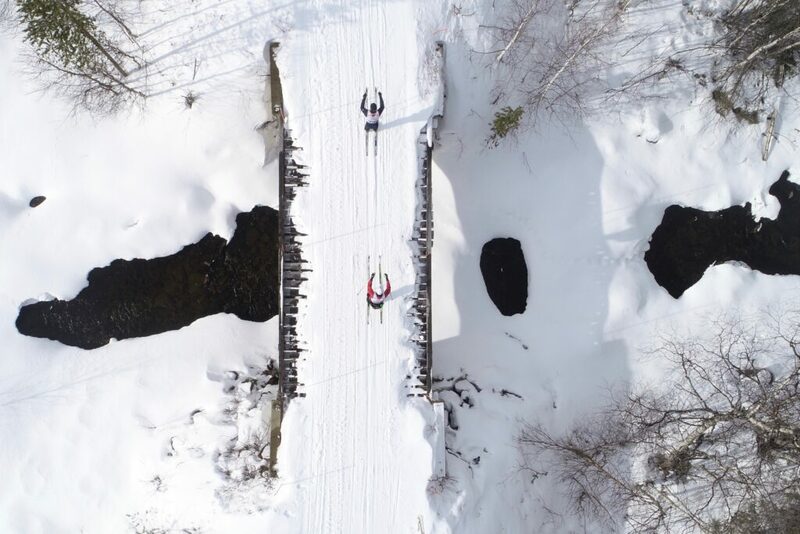 The Norwegian duo from Team Ragde – Øyvind Moen Fjeld and Andreas Nygaard seem to have taken a firm grip of the lead as they pass Randijaur-Bälkasgårro (158 km) at 8:48:11 and shows no signs of slowing down. But, who knows, the race is long. Reports from the energy station say that the conditions have take their toll. In order to stay energized along the way, the skiers eat and drink approximately 20-30% more compared to last year due to the headwind! Does this mean they will eat and drink less on their way back? 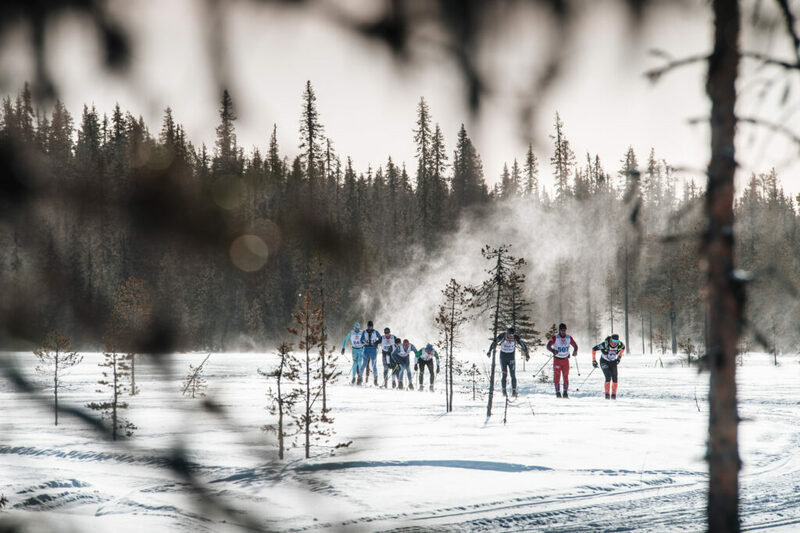 So far 7 women have made it past the turning point and have thus begun making their way back home to Jokkmokk. 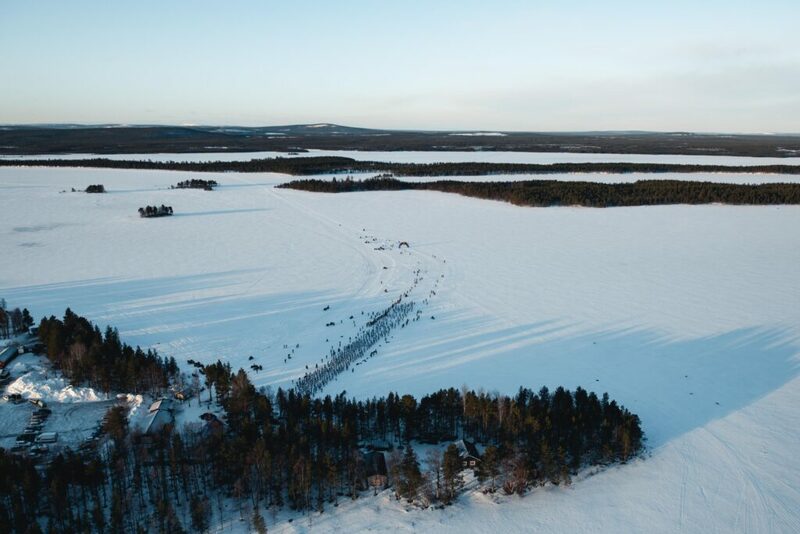 None of them are skiing together but apart from the leader nr.1 and 2 – Nina Lintzén and Terhi Pollari, there isn’t too far between the rest and we’re hoping for an exciting conclusion towards the end! 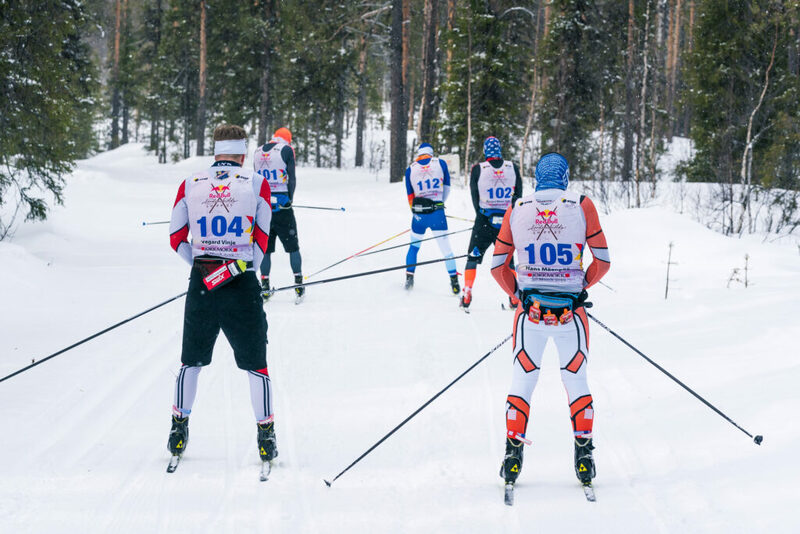 At Tjåmotis (121 km) we have two skiers in the front. 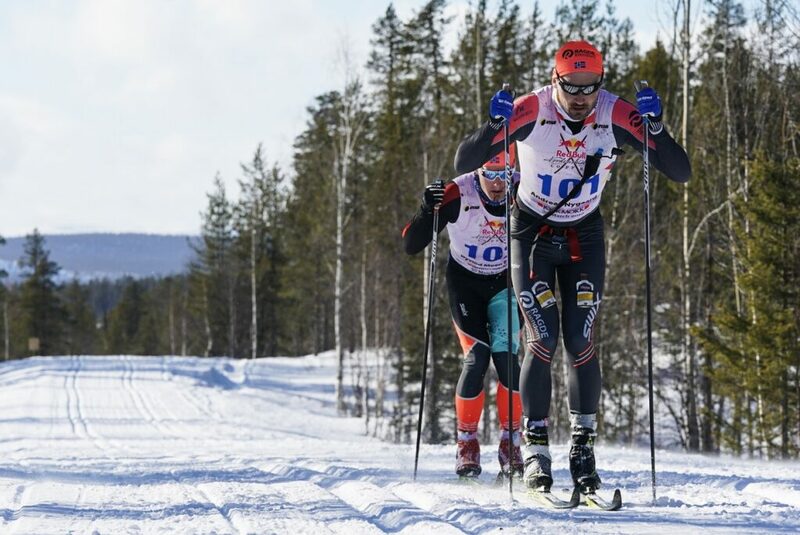 Team Ragde’s Øyvind Moen Fjeld and Andreas Nygaard have broken away and are about one minute ahead of fellow Norwegian Vegard Vinja. Behind him, we have the duo Mäenpää and Lövgren. Further back Peter Eliassen meanwhile got the company of his club-mate Daniel Strand. They’re 12:48 behind. Øeyvind Moen Fjeld is currently leading the pack, back to the finish line. Seems like all of them are currently enjoying the sun and their fantastic new friend and previous enemy – the wind. Which could be seen as they flew by Sågudden (109 km) on their way back! It’s such a refreshing sigh to see people as they close in on the turning point. They know, and you can see it on their faces, that the tides have begun to turn. They’ve now covered more than a regular “Vasalopp”, and yet, their journey has only begun. But, this is where they start getting it – they can do it! 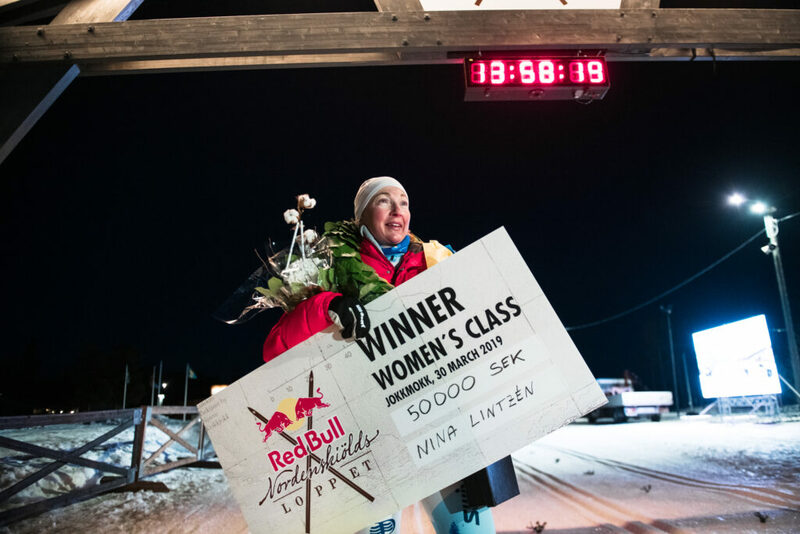 Nina Lintzén is the first women to reach the turning point with the amazing time: 6:26:51. Now Nina’s begun making her way back to Jokkmokk. 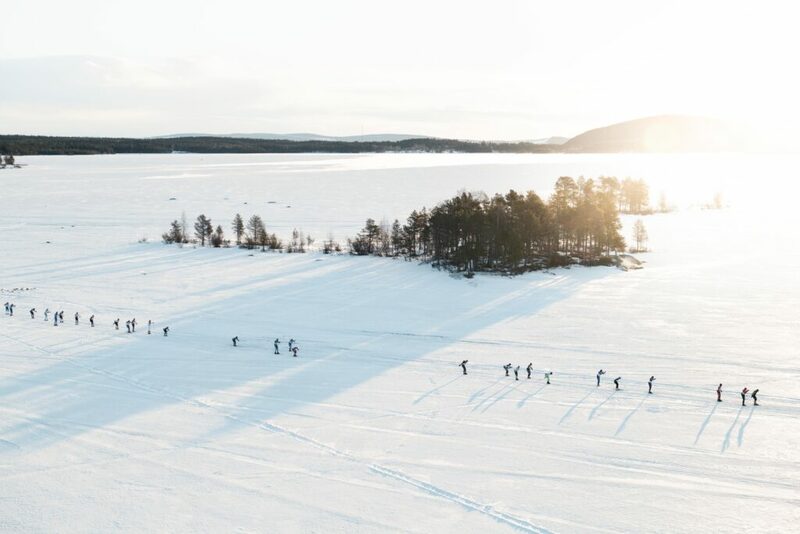 Norwegian long distance ace Petter Eliassen has lost contact with the leading groups and is currently skiing all by himself. He passed the turning point after 97 km in 6:01:01, around 9 minutes behind. Will he come back into the race on the way back? The leader pack stays the same as they pass by the turning point at Njavve, 97 km in with a 5:52:16 time. Now it’s time to start heading back, which is a big deal since the wind now turns from head to tail. Hopefully we’ll get to see some real momentum for the 2nd part of Nordenskiöldsloppet! Nina Lintzén is no longer amongst the leader pack, and have now instead joined up with another pack, a little bit behind but still looking extremely strong! 75 km into the race, the leading pack has split up. 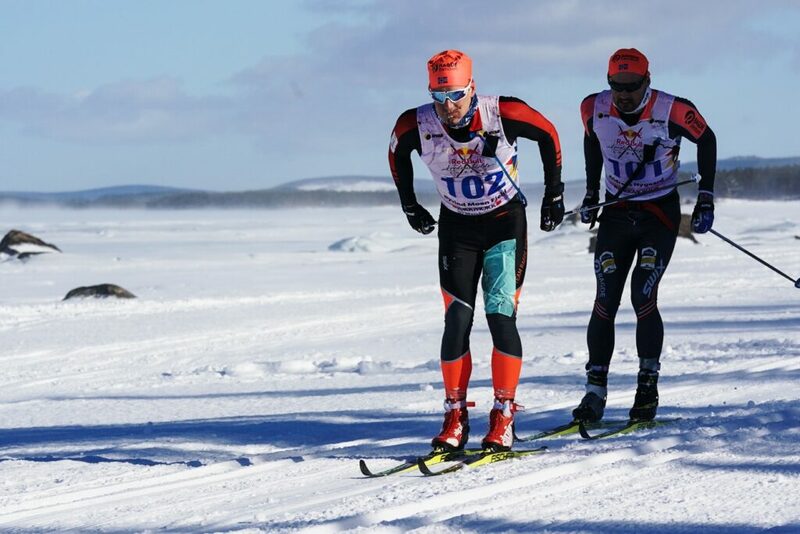 Swedish elite skier Johan Lövgren is leading the race together with Øyvind Moen Fjeld passing Tjåmotis with a 4:36:39. 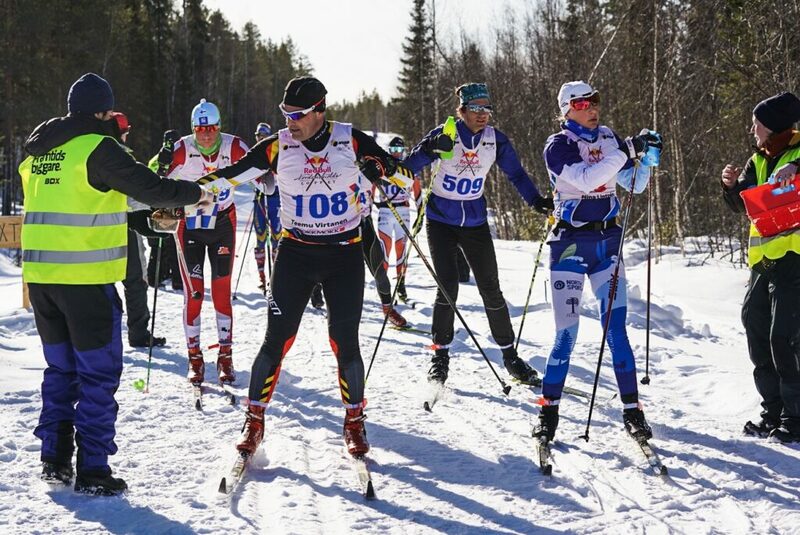 A trio consisting of Nygaard, Vinje and Mäenpää passed Tjåmotis approximately 30 seconds after. Another minor group led by Petter Eliassen is chasing some additional minutes behind. With the elite at the front it’s easy to lose track of all the other amazing people out there, also pushing the limit during this race! Here’s Kenneth Loefman and his pack swishing by at a 3:35:00 as they pass Granudden. 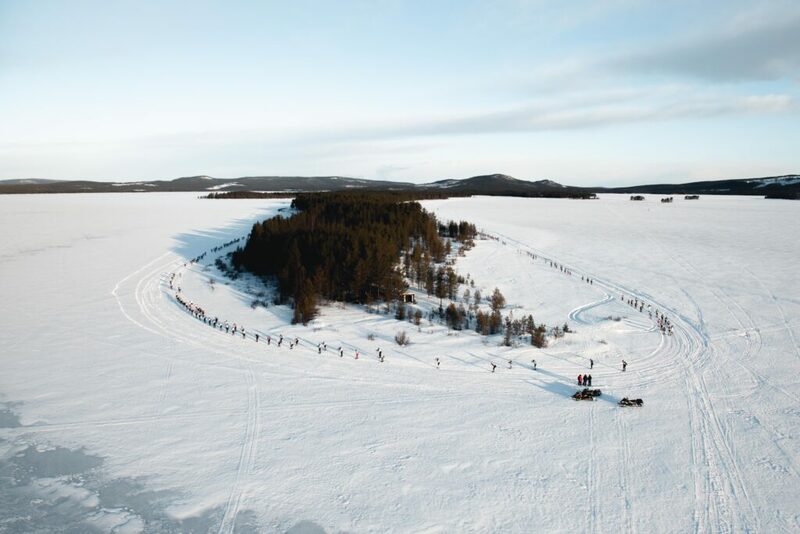 As they pass Granudden, 57 km in, the leading pack is still intact, consisting of 50 people, including 2 women – Nina Lintzén and Terhi Pollari, with a well-known engine at the front. 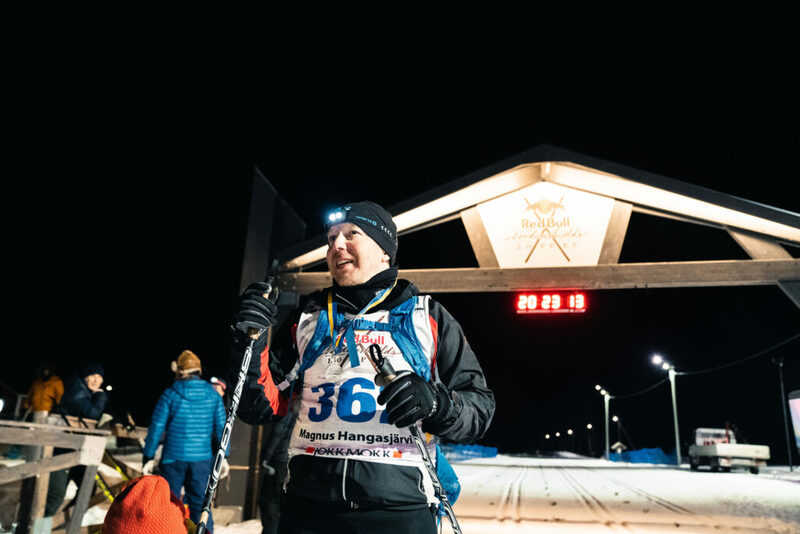 The one and only – Øeyvind Moen Fjeld passing the checkpoint at 3:28:01. 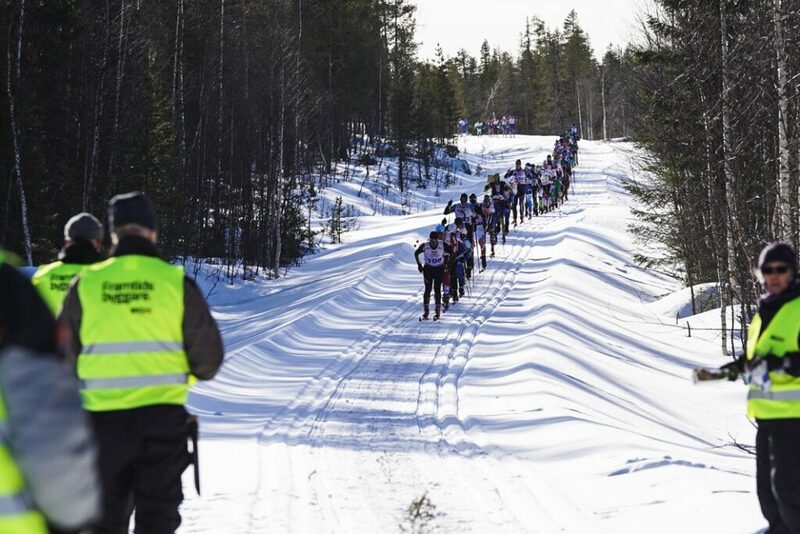 The leading pack has now passed the 4th checkpoint at Majves, 48 km into the race. 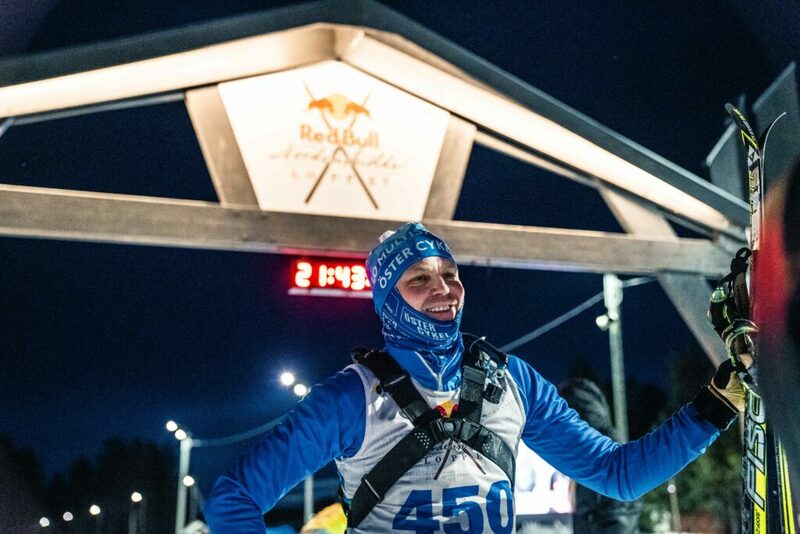 Teemu Virtanen is currently leading the pack and passed the checkpoint at 2:56:24. On a side note: Teemu is the previous world record holder in 24 hour skiing. Hans Mäenpää from Finland has been the first to pass Randijaur-Bälkasgårro after 41 km in 2:33:47. 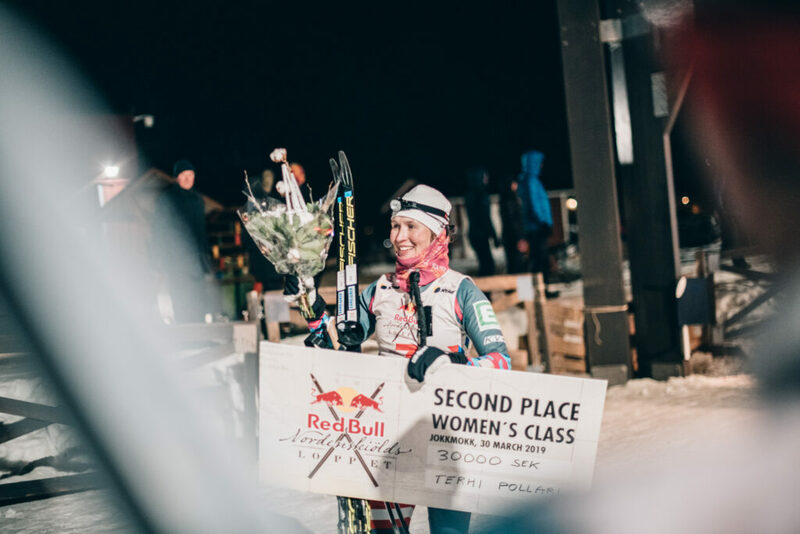 The world record holder in 24 hours skiing is 47 seconds ahead a big group of around 50 skiers including leading females Nina Lintzén and Terhi Pollari. 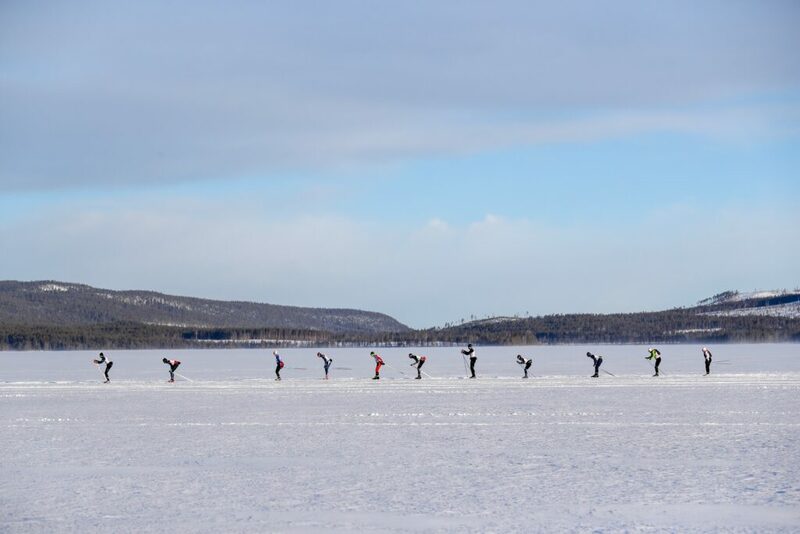 The skiers have now passed the 2nd checkpoint at Ragalvisjiegge (28 km). 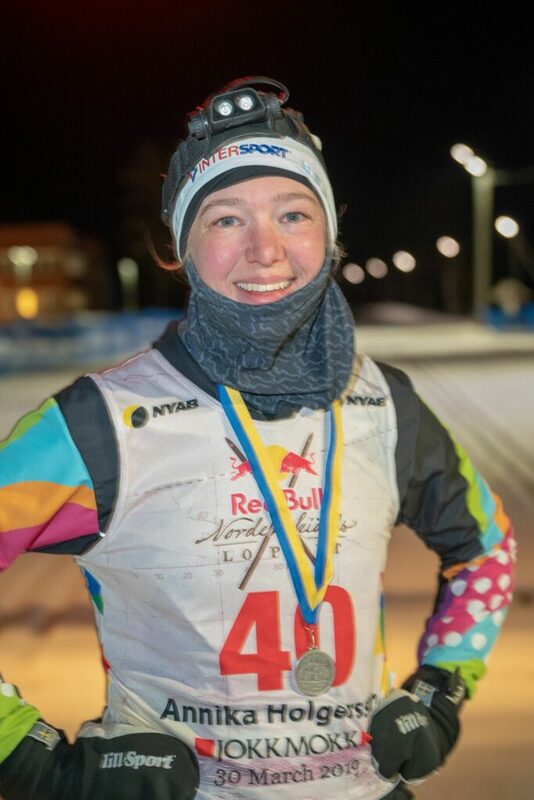 However, Stefan Sunnberg has now been passed by Johan Furunäs who once again takes the lead at Nordenskiöldsloppet with a 1:47:04 on his tail we got Nina Lintzén! But, they’re 3 minutes behind last year. 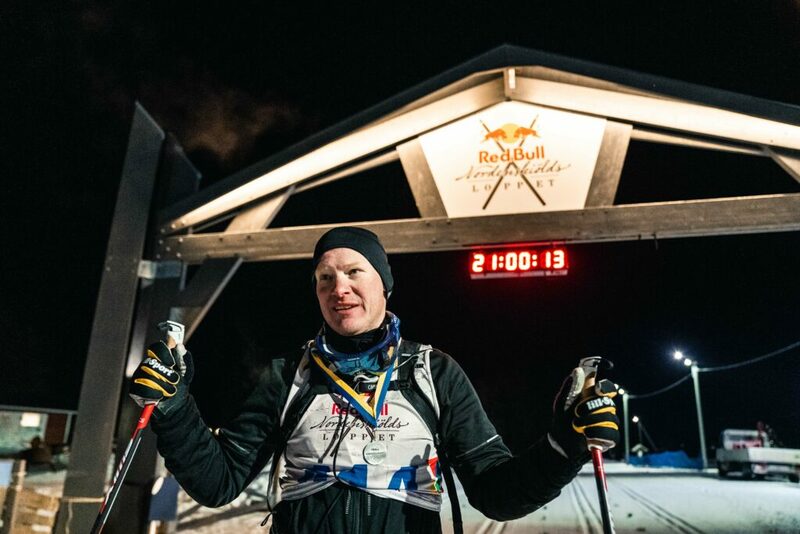 Stefan Sundberg was the first skier to pass the first checkpoint in Pelnibäcken (14 km) after 50:50. Even though there was talk about possible record times for this year’s race, that’s a slower pace compared to last year when the leader passed after 47:34. Is it the headwind that slows down the race? Will it go faster on the way back? Only time will tell. Stay tuned. AND WE ARE OFF! The sun is shining, and both the crowd and participants are in high spirits. The conditions so far are looking great, apart from being a bit windy, the sun is shining and the tracks look really icy and nice!